Why not just pave it over when they are done? World\'s largest parking lot. All in the name of dollars. really great photo .. sad story .. even places like this will be disgraced??? The photo is impressive. I would like the comment to be more accurate: the "Campo de hielo" is indeed in Patagonia (South of Argentina and Chile) most of it in Argentinian side. The Huasco Valley is in the North (most in Chilean side). The distance between those spots is bigger than 2000 km!!!! So they are much further than San Diego is from Seattle (to get an idea to people living in USA). We are talking about two very different places. I too am opposed to the Pascua Lama Project but for specifically for the reasons than you mention above. 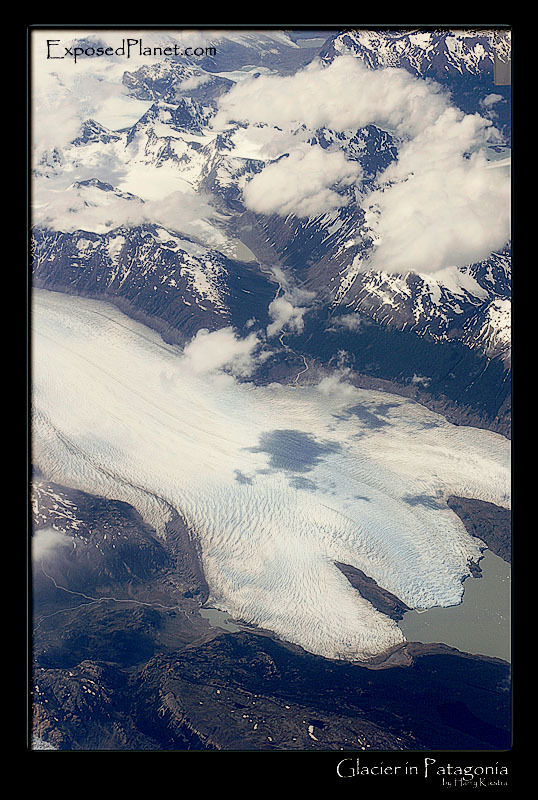 There are also some factual errors in your write up that you may wish to correct … 1) I\'m 99.9% sure that the glacier shown in your photo is Grey Glacier in Torres del Paine National Park in Chile and not in Glaciares Park in Argentina. 2) Campos de Hielo Norte covers about 4,000 sq km and is located entirely in Chile and Campo de Hielo Sur covers approximately 17,000 sq km and approximately 80%+ is located in Chile (you can get some facts here … http://en.wikipedia.org/wiki/Southern_Patagonian_Ice_Field 3) the glaciers involved in the Pascua-Lama project while they may or may not be important to local farmers are MUCH smaller alpine glaciers — not ice fields and are just a couple of sq km or so, and more importantly are nowhere neat the Campo de Hielo which is nearly 3,000 km away. Sadly both Campo de Hielo fields in Patagonia are threatened, but by the much larger problem of global warming and not this mining project in the far away Central Andes. Thanks for publicizing this issue, but I think the argument is much more effective when the facts are dead on. The story behind "Patagonia: glaciers in Argentina, campo de hielo sur. Soon to be destroyed…"
One of the largest icefields on Earth is the Campo de hielo, with its Northern (Norte) and Southern (Sur) parts, close together, overlapping the Argentinean-Chilean border. The Pascua-Lama site is located at 4,600 metres above sea level and extends to both sides of the Argentine-Chilean border, with 80 percent in Chile. The site for the enormous open-pit mine sits under three glaciers known as Toro 1, Toro 2 and Esperanza…The glaciers feed into Huasco Valley, 660 km north of Santiago, supplying irrigation water for some 70,000 small farmers. Barrick originally planned to dig and blast an estimated 300,000 cubic metres of ice over a 20-hectare surface area from the glaciers.. To mitigate ecological impact and prevent ice from melting, the ice would be moved to create a new larger glacier nearby. The removal of the glaciers “will principally hurt the water supplies of the Huasco Valley in Chile and the Jachal Valley in Argentina,” says Raúl Montenegro, biologist at the University of Cordoba and director of the Argentine Foundation for Environmental Defence (Fundación para la Defensa del Ambiente). See this website for more backgrounders on this upcoming ecological disaster, another piece of or earth sacrificed for dollars, Canadian this time.